The Mark AIRSTREAM heat recovery unit is equipped with CP1 / OJ control that controls the entire unit. The frost protection for the counterflow heat exchanger, control of the bypass and the control of fans are included here. The control is easy to adjust with the corresponding remote control, laptop or computer. No separate software is required for operation with your laptop or computer. The network connection enables a web-based connection. The menu structure is clear and well-organized. With different levels the access per user is blocked. Ventilation is also possible on the basis of CO2, air quality, pressure loss or air humidity, depending on the need. All our filters are fused from the inside and completely wired to the maintenance switch. Optionally, the control of a 3-way valve for cooler, heating element or change-over battery with release of a pump is possible. Of course there is much more possible when you choose our heat recovery installation, we will gladly inform you about this. Why choose heat recovery from Mark Climate Technology? A heat recovery unit from Mark Climate Technology works well and efficiently. After all, quality is very important at Mark Climate Technology. Our experts select products and materials with care so that you as a customer get sustainable and good ventilation. Mark Climate Technology therefore provides a very good and efficient heat recovery unit. The Mark Airstream is also Eurovent certified. It’s not for nothing that Mark Climate Technology is the market leader in this field! All Mark heat recovery units automatically comply with EU 1253 regulations and are Ecodesign 2018 ready! In addition, the Mark Airstream is also Eurovent certified. 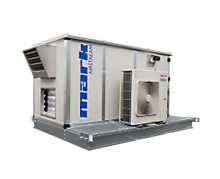 Are you interested in a beautiful and high-quality heat recovery unit from Mark Climate Technology? Then you can always contact us. Call +31 (0)598 656 612 or fill out the contact form on our website. 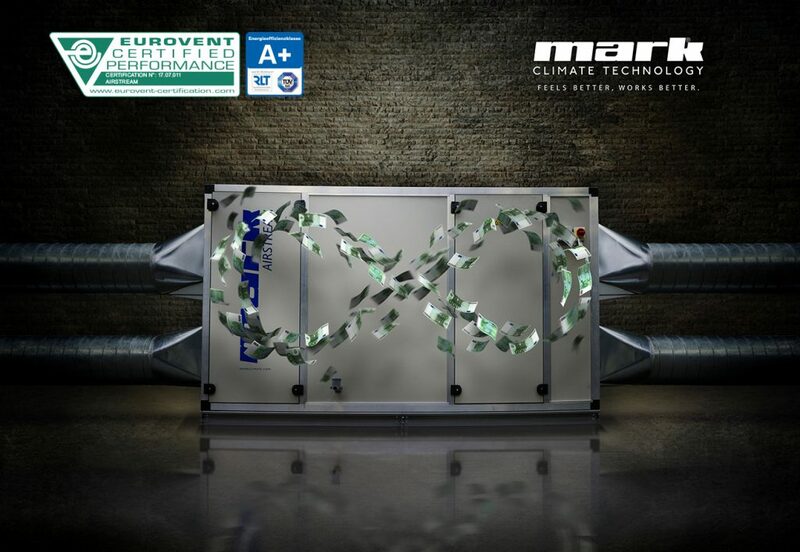 More information about the Mark Airstream heat recovery unit? Click here!